In 2003 the Trio was asked by National Public Radio to be the Young Ensemble-in-Residence. This exciting week of live concerts and interviews put the Amelia firmly in the foreground of classical music in America, reaching an estimated 1.5 million listeners. Performing fifteen works that spanned the centuries, the Amelia forged a lasting relationship with NPR. In October 2006 the Trio was featured on Chicago's WFMT in live broadcast performances of the complete Beethoven Trios. In addition to Harbison's new piano trio, other commissions for the Amelia include Augusta Read Thomas' A Circle Around the Sun and Adam Silverman's Sturm. The Trio's most recent commissioning project is a new Triple Concerto composed by Daren Hagen. The Amelia premiered this new piece with the Chicago Youth Symphony Orchestra in November 2007, and will perform the piece with youth orchestras around the country during the 2007-2008 season. The Trio has performed extensively in North America and abroad, including France, Italy, Panama, and the Caribbean. They have released CDs on the Koch and Cedille Records labels, as well as on the world music label Traditional Crossroads. In addition, members of the Trio have toured North America and Central Asia with Yo-Yo Ma's Silk Road Project. The Amelia Piano Trio is actively involved in arts education and dedicates a substantial amount of time to educational projects, master classes, and coaching children and adults. 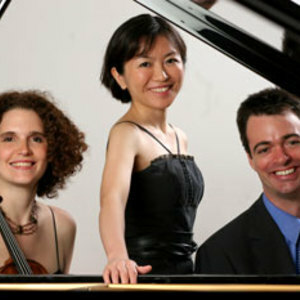 The Trio members are professors at the Hartt School of Music and Connecticut College. In addition to developing award-winning outreach programs, the Trio is in residence at the Green Lake Chamber Music Camp, where they teach gifted high school and college-aged students the art of chamber music.